UPDATED: Thu., Nov. 8, 2018, 3:25 p.m. The newly renovated historic Estey pipe organ at Community United Methodist Church in Coeur d’Alene is more than an instrument. The congregation views it as a member of the choir, the spirit of the church. The pipe organ has been at the center of their musical worship for just about as long as the congregation has been a congregation. The original worship facility was built in 1908 and the pipe organ was installed shortly after in 1909. It served faithfully for decades, undergoing a major period of repair in 1978 when the console (keyboard control area) was replaced and the number of pipes was nearly doubled. When the congregation decided to move to a new building in 1993, the pipe organ was removed, stored for a time and, in 1994, reinstalled in the new church. 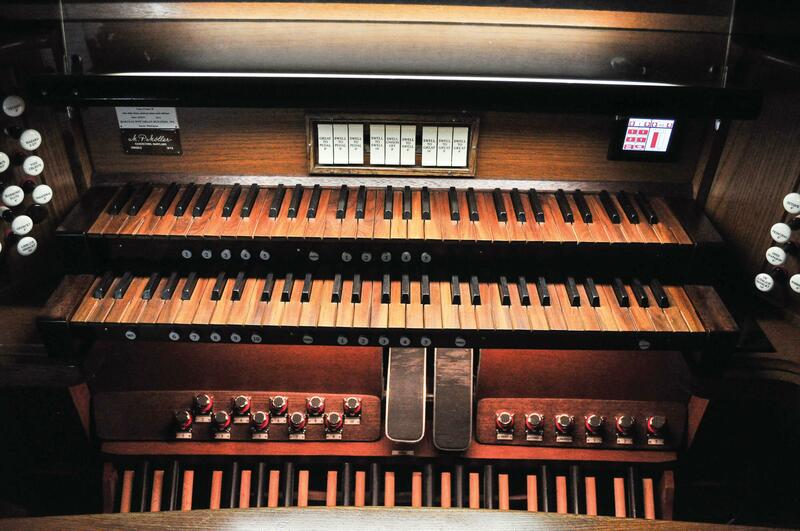 By 2015, it was clear the pipe organ had again fallen into disrepair. After more than 100 years of use, the windchest system – the pipe organ equivalent to the hammers in a piano – was becoming unreliable. The organists were forced to learn workarounds. Playing had become less of a joy and much more of a battle. They just couldn’t trust the keys and stops to produce the necessary sounds. so the congregation formed a renovation committee and set to work recording how and what needed to be done. When it came time to renovate the organ the committee had the chance to increase the range of sounds it could produce. Adding a pipe or series of pipes to an organ is more akin to adding an instrument to an orchestra than a string to a piano; the organ was missing a trumpet. Today, after a little more than three years of work, the latest renovations and repairs are complete with an entirely new windchest system and an additional 300 or so pipes, all of which have been recycled from dismantled vintage organs. This leaves the final count at 1,581, a quarter of which remain from the original 1909 installation. Sunday afternoon, the pipe organ will be rededicated during a recital celebration at the church. Haberman and fellow organists Bryl Cinnamon and Cynthia Marlette will perform a series of works that showcase the pipe organ’s expressive range and depth. This story has been updated to reflect the correct name of the church. Published: Nov. 8, 2018, 11:52 a.m. Updated: Nov. 8, 2018, 3:25 p.m.